Our vision for Todd Property Group is to be the leader in developing properties that contribute sustainable and lasting value to communities. Our projects range from innovative urban residential developments to environmentally sustainable coastal communities, the transformation of heritage sites and construction of large retail/commercial complexes. 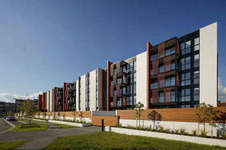 We specialise in the development of master-planned communities. The master-plan concept involves a comprehensive approach to building a community, considering broad use of the land to ensure there is the right mix of housing, the necessary supporting infrastructure, access to green spaces as well as places for residents to work, shop and relax. We have a strong track record of delivering attractive, well-designed developments that enhance the value of the surrounding area and reflect the needs of the community. Our highly-skilled team works with industry professionals who provide expertise in architecture, landscape, environmental sustainability and urban design to create contemporary, diverse and thriving communities. Todd Property Group is part of the family-owned Todd Corporation, one of New Zealand’s largest and most successful companies. With a history that spans over 130 years, Todd Corporation has interests in oil and gas exploration and production, electricity generation, energy retailing, property development, healthcare, minerals and technology. The Todd Corporation has a long history in New Zealand with origins that can be traced back to the Todd family’s first commercial venture in 1884. Todd Bros Limited became the Todd Corporation Limited in 1987 with four divisions: Energy, Property, Corporate Investments and Securities/Liquidity. 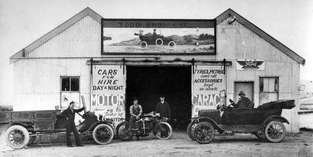 Click here for more information on the key milestones in the development of the business; from its modest beginnings in rural Otago through to the modern-day Todd Corporation. Evan joined Todd Property Group in July 2008. From 1996 until 2007 Evan was the founding Managing Director of gaming and entertainment company, SKYCITY Entertainment Group Limited. While at SKYCITY Evan oversaw the purchase, design and development of several establishments in New Zealand and Australia including Auckland’s famous Sky Tower and associated SKYCITY entertainment complex. A qualified planner, Evan has wide spread interests in property development, city planning and urban issues as well as other business interests in farming and viticulture. He devotes a significant amount of time to substantial charitable organisations as trustee of the Anglican Trust for Women and Children and the Melanesian Mission Trust Board. Bryce joined Todd Property Group in August 2008 as Manager of Property Operations. 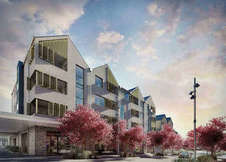 Bryce’s role is to oversee the design and development of all Todd Property projects. Before joining Todd Property Group Ltd, Bryce was General Manager - Capital Projects at SKYCITY from 1994 until 2008. During that time Bryce project managed the development of all SKYCITY’s main assets, including the casino, conference and entertainment venues in Auckland, Hamilton, Queenstown, Adelaide and Darwin. Bryce is a qualified valuer and has over 40 years’ experience in the property sector. Michelle joined Todd Property Group in March 2010 as General Manager, Finance and is responsible for the financial planning and management of Todd Property Group’s development projects including feasibility and project funding. Michelle has a BA (Ancient History) and BCom (Finance & Accounting) from the University of Auckland. Michelle is CPA qualified and has a Big 4 background in Corporate Finance. Andrew joined Todd Property Group Ltd in 2009 and as General Counsel provides invaluable and sound guidance on any legal issues that may arise. He has a Bachelor of Commerce and Bachelor of Laws with Honours and a Master of Commercial Law with Honours from the University of Auckland. Andrew is a barrister and solicitor of the High Court of New Zealand and also active on the Board of Directors for the New Zealand charity, Variety – The Children’s Charity since November 2008. Neil has led Todd Property’s strategic planning for more than a decade, with responsibility for developing structure, reserve and master plans for the Company’s major projects throughout the country. These developments include the master-planned residential community of Long Bay situated on 160ha of coastal land north of Auckland, Stonefields in east Auckland which will be home to 6500 residents on completion, and Ormiston Town Centre. Before joining Todd Property in 2002, Neil provided consultancy services to a number of public, institutional and private sector clients on major national and international projects such as the Northern Busway, the Jubilee Line Extension and proposed East London Line extension for London Underground Limited and the reconstruction of the Kings Road in Fiji for the Asia Development Bank. Neil also has expertise in public policy, resource management law and local government issues. David has been responsible for branding, marketing and residential sales for Todd Property’s developments throughout New Zealand since 2012. He also oversees the Company’s leisure, hospitality and retail businesses. With national and international experience, David has particular expertise in developing and implementing effective marketing and sales strategies, leading diverse teams, and delivering marketing-led change projects. For 10 years prior to joining Todd Property David was the international Director of Marketing and Communications for a global real estate company. Hamish oversees Todd Property Group’s Stonefields development and leads the Residential Development Team. Hamish has a special focus on the development of apartment buildings and integrated housing projects across Todd Property Group. Hamish is a Chartered Professional Engineer with a background in civil engineering, with experience in large scale master planned land developments, apartment projects, commercial, industrial, health and educational projects. He has worked on projects in New Zealand and overseas, including in the United Kingdom, Europe and Russia. Stephen joined Todd Property in 2006 as a Development Manager, and in 2016 he became General Manager, Land Development, with oversight of all the company’s land development projects. For the past 10 years Stephen’s primary focus has been leading the Long Bay development, a housing community north of Auckland city. Before joining Todd Property, Stephen held various development management roles, all specialising in managing aspects of large scale land development projects. Stephen has a degree in Property Administration from the University of Auckland and is a qualified property valuer with over 25 years’ experience in the property sector.